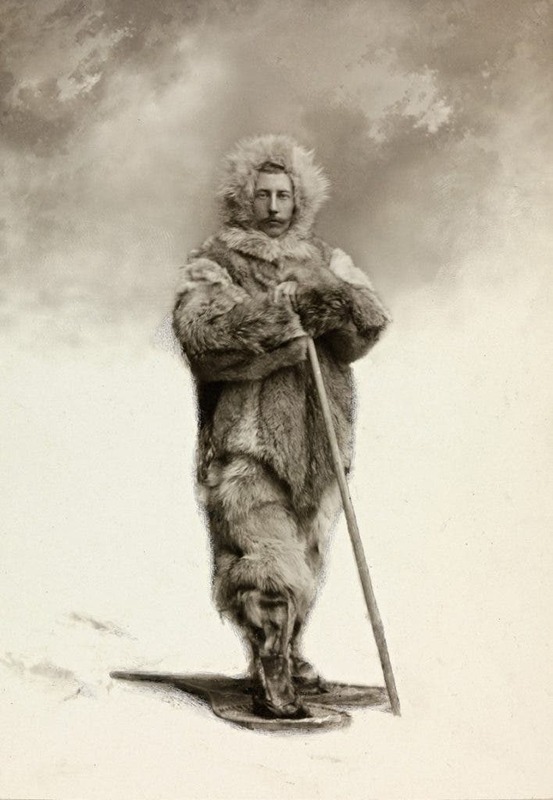 Roald Engelbregt Gravning Amundsen – a famous Norwegian explorer, the first man to ever reach the South Pole. 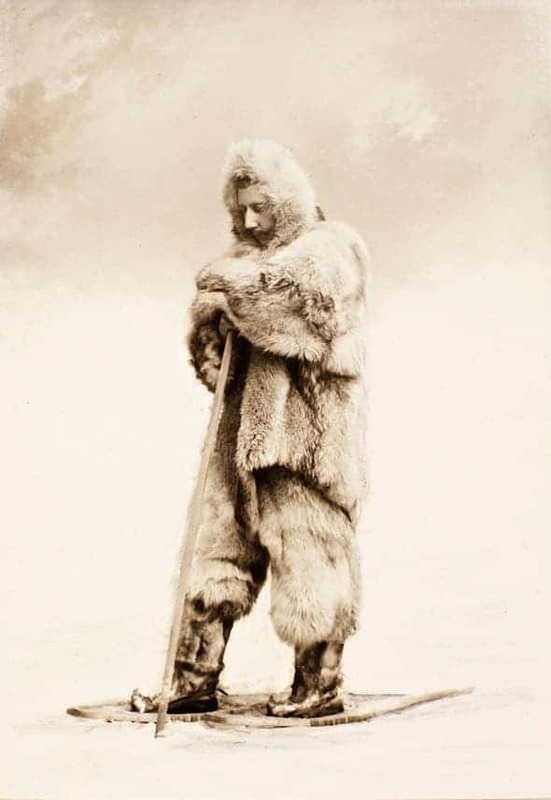 He used the skills he learned Netsilik people about Arctic survival skills, using sled dogs for transportation of goods and wearing animal skins in lieu of heavy, woolen parkas, which could not deter cold when wet (see below). 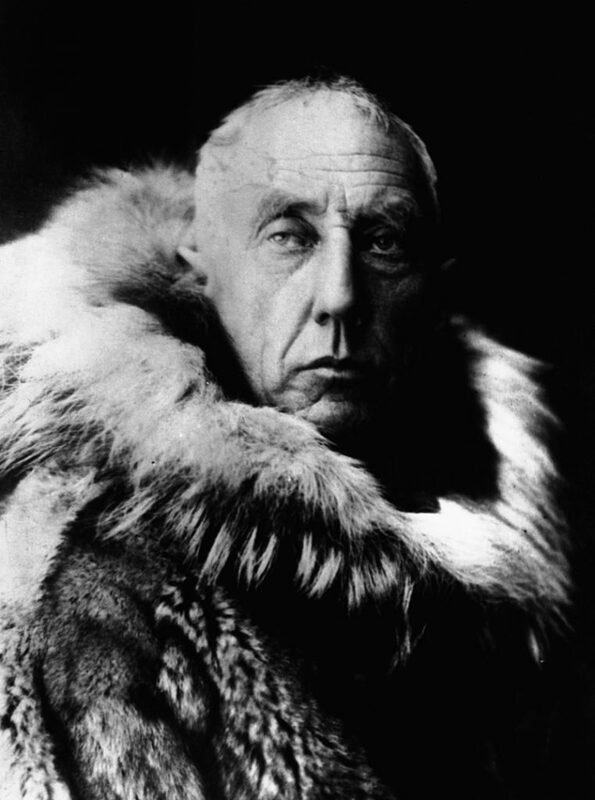 In 1903, Amundsen led the first expedition to successfully traverse Canada’s Northwest Passage between the Atlantic and Pacific oceans – with only 6 men and a 45-ton fishing vessel, Gjøa. 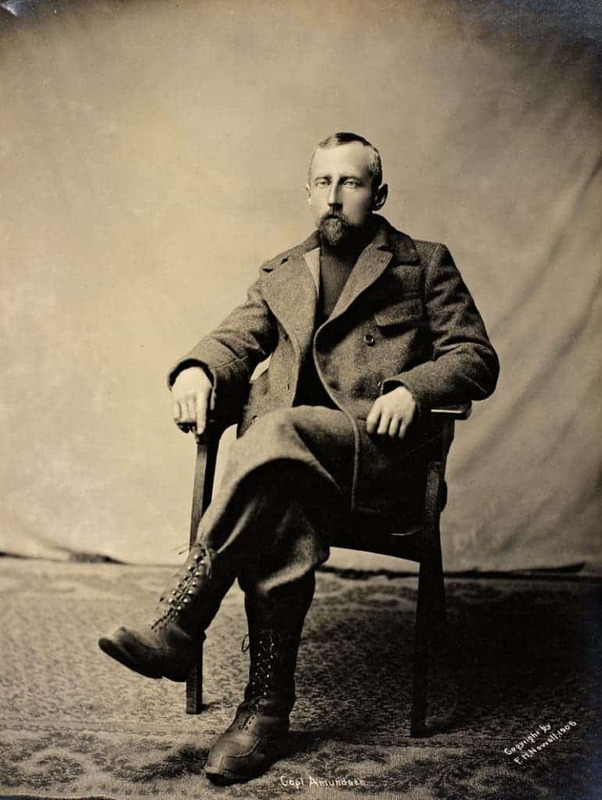 Using skis and dog sleds for transportation, Amundsen established a cynical plan for reaching the South Pole – planned to kill some of his dogs on the way and use them as a source for fresh meat. However, due to extremely low temperatures and a quarrel between the members of the expedition, the plan was canceled. 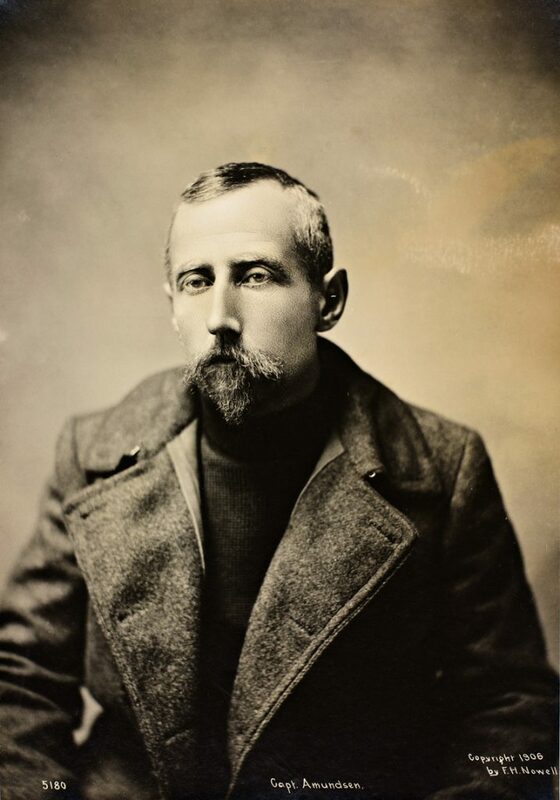 Amundsen was a pretty tricky fellow. He initially wanted to reach the North Pole, but when he found out that the “competiton” had a big head-start he changed his mind and set for the Antarctic. Some of his followers and crew felt deceived, and didn’t like this. 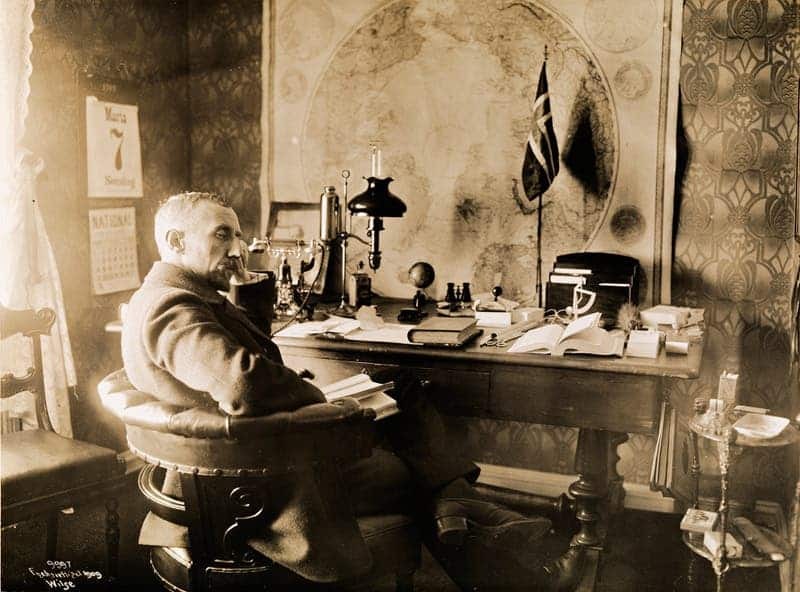 Englishman Robert F. Scott had already planned an expedition for the South Pole. 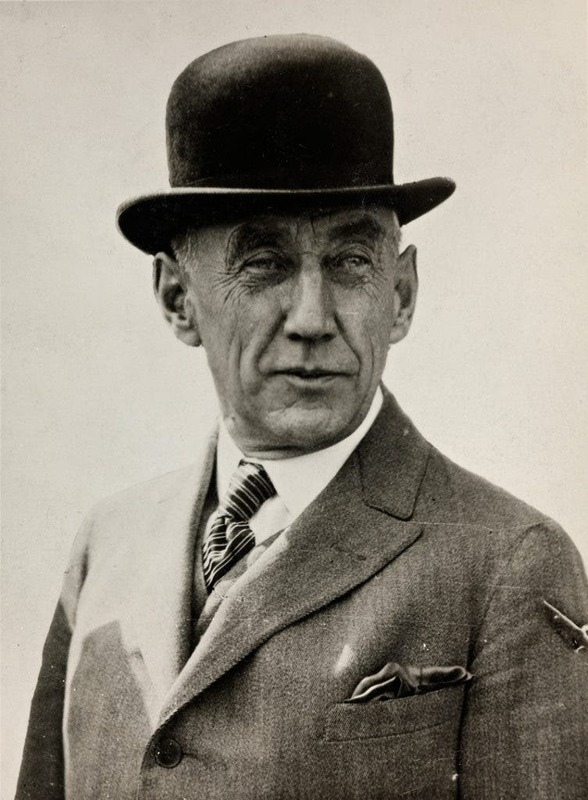 It was only when they arrived in Madeira (an island of the coast of Portugal) that Amundsen alerted his men that they would be heading to Antarctica, and sent a telegram to Scott, notifying him simply: "BEG TO INFORM YOU FRAM PROCEEDING ANTARCTIC--AMUNDSEN." 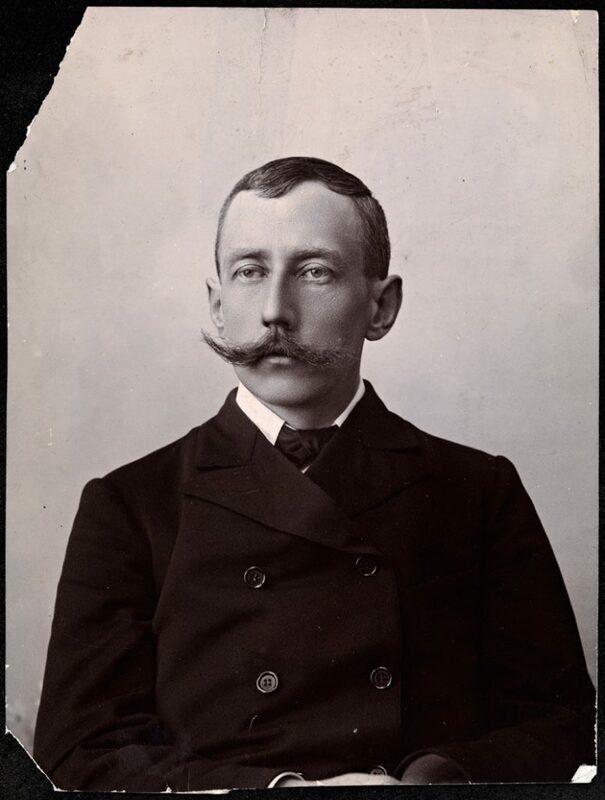 Photograph via National Library of Norway. A team made up of Olav Bjaaland, Helmer Hanssen, Sverre Hassel, Oscar Wisting, and Amundsen, departed base camp on 19 October 1911. They took four sledges and 52 dogs. After just under two months and a four day climb, all the five men reached the South Pole; with them, only 16 dogs remained. 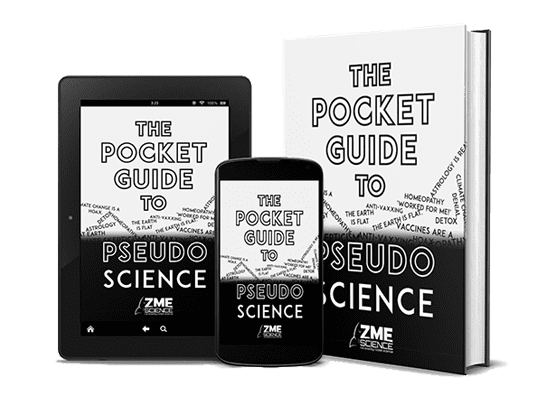 Personally, this is not something I can agree with; this wasn’t even research, it didn’t yield anything inherently useful – if anything, Amundsen sacrificed the dogs for his own glory… and it worked. Their expedition arrived 33–34 days before Scott’s group. They left a small tent and letter stating their accomplishment, in case they did not return safely home – but they did. 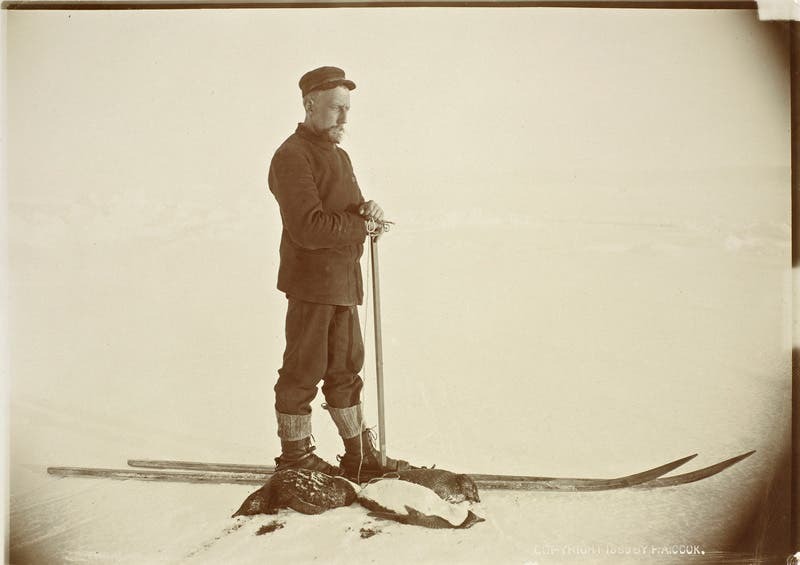 Along with only Amundsen’s expedition benefited from his careful preparation, good equipment, appropriate clothing, a simple primary task (Amundsen did no surveying on his route south and is known to have taken only two photographs), an understanding of dogs and their handling, and the effective use of skis. Scott’s expedition encountered many more problems, arguably due to his less honed skills. 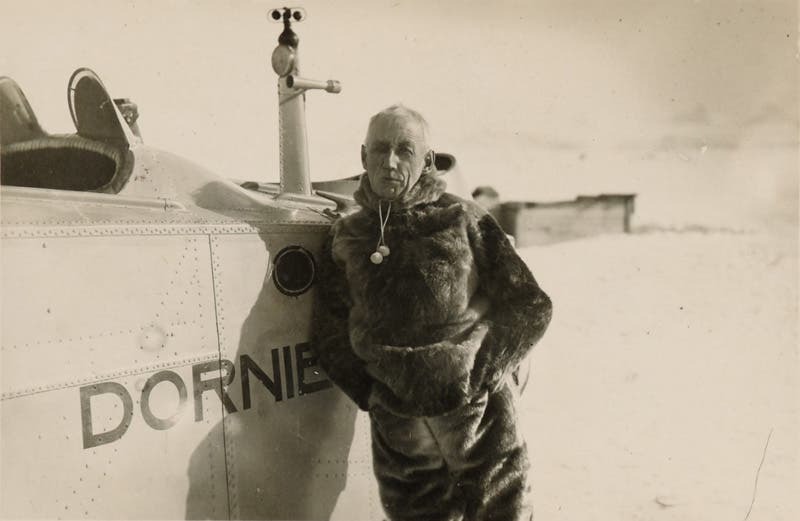 Amundsen disappeared with five crew on 18 June 1928 while flying on a rescue mission in the Arctic. His team included Norwegian pilot Leif Dietrichson, French pilot René Guilbaud, and three more Frenchmen. None of their bodies were found, nor was their plane, despite consistent efforts. It is believed that the plane crashed in fog in the Barents Sea. In 2004 and in late August 2009, the Royal Norwegian Navy used the unmanned submarine Hugin 1000 to search for the wreckage of Amundsen’s plane, but found nothing. Who knows, perhaps his spirit still watches over the Arctic areas, guiding explorers to this day.